Енсел Елгорт зіграє уродженця Нової Каховки Артура Самаріна, що підробив документи, зменшивши свій вік, щоб залишится навчатися в США, був засуджений і депортований в Україну. Екранізуватиме його історію у фільмі за статтею Daniel Riley “The Great High School Imposter” у GQ Magazine будуть Participant Media та Condé Nast , повідомляє Deadline. Participant Media has teamed with Condé Nast Entertainment for a film adaptation based on the Daniel Riley GQ Magazine article The Great High School Imposter. 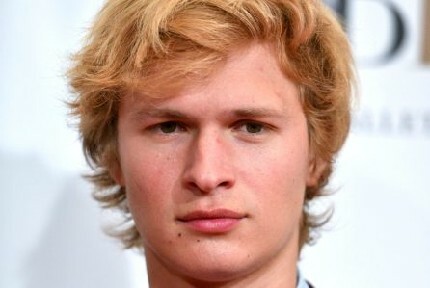 Ansel Elgort has attached to star and Mike Makowsky to adapt the story of a bright Ukranian kid who peeled five years off his age so he could be adopted by a childless couple in a small Pennsylvania town, all to stay in the country after a short stint in a work exchange program. He became the top student in his school. He was in contention for valedictorian with scholarships at elite colleges and his dreams of working for NASA dancing in his head until turned in by his fake parents who allegedly had in mind something closer to Cinderella in their version of the fairy tale. Allegedly annoyed that young Artur Samarin wasn’t behaving enough like a domestic servant and began running away, they turned him in and painted him as a potential terrorist. Jeremy Steckler of Condé Nast Entertainment is producing. Makowsky, Elgort, and Emily Gerson Saines will be executive producer. Robert Kessel and Jonathan King are overseeing for Participant. An exceptionally bright kid who saw little hope for the life he wanted, 18-year-old Artur Samarin fled his crumbling Ukrainian hometown and came to the U.S. on a work exchange program, only to find himself manning a fryer at Red Robin for minimum wage. His desperation for a chance at the American Dream seemed possible when he befriended a childless couple who agreed to adopt him, helping him forge documents and enrolling him at the local school to maintain the ruse. There, he excelled as a straight-A+ student, joined the Navy ROTC, and became a pillar of the community. Eventually, his dream turned into a nightmare as he was hauled in and, beyond charges made by the pseudo-adoptive parents who seemed to benefit financially from the scam, Samarin was ensnared for a relationship with a 15-year old student, while he pretended to be 17 but was actually 22. Makowsky most recently wrote and produced Bad Education — starring Hugh Jackman, Allison Janney and Ray Romano — based on a corruption scandal at his real-life high school. His previous film, I Think We’re Alone Now, premiered at Sundance earlier this year. Both scripts were featured on the Black List in 2016. He is represented by CAA, Circle of Confusion, and Jackoway Austen Tyerman. Elgort moved from The Fault In Their Stars to Baby Driver to The Goldfinch and he recently was set to star in the Steven Spielberg-directed West Side Story. He is represented by CAA, Brookside Artist Management, and Morris Yorn Barnes. Condé Nast Entertainment is represented by CAA and Ziffren Brittenham.